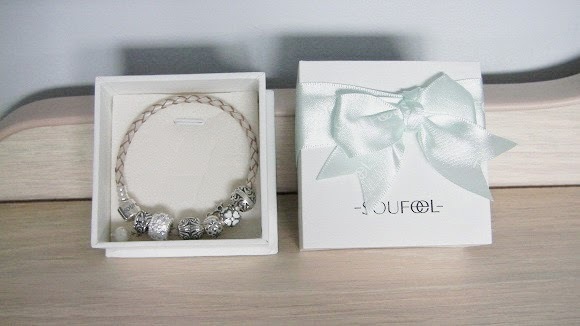 Behind The Frames: Review: Soufeel Charm Bracelet | Pandora DUPE? Being a full-time student, I'm not one who can easily afford a Pandora charm bracelet, although I've always thought that they made a nice gift for a loved one. I did think it was a bit crazy to pay around a hundred dollars for each charm, just to fuel a collector's desire. Naturally, I was very intrigued when I was contacted by an online, jewellery company called Soufeel selling items of a similar concept. On top of their sterling silver bracelets and Pandora-compatible charms (according to my friend who owns a Pandora, they DO indeed fit), they also offer a nice selection of other jewellery pieces. Right off the bat, I was very impressed with the lovely packaging. The bracelet comes with a sturdy white box with a light blue bow on top. The bracelet can sit on the padded foam that we often see at high-end jewelers. Not only that, they also provide a gift bag if you are gifting it to someone. I was able to pick a starter bracelet and six other charms. 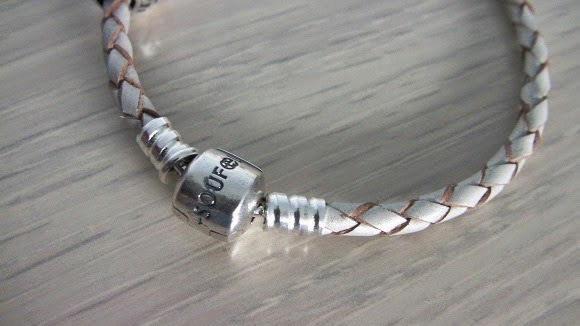 For my bracelet, I chose the Silver Gray Leather Charms Bracelet . I wouldn't call it silver or grey but to me, it has a rose-gold sort of feel with a beige and champagne woven design. When choosing a bracelet, you are able to select from various wrist sizes. I went for the smallest size which was (thankfully) still a few centimetres larger than my actual wrist and you have to keep in mind that the charms take up some space of their own, thus reducing the actual diameter of the bracelet. The clasp on the bracelet has 'Soufeel' engraved in it and I very much appreciate the no-fuss, user-friendly clasp that is included. It is a simple open and close mechanism, unlike some annoying clasps on necklaces I've had where you have to rely on sheer luck of getting one end into the other. I was torn for choice when picking out charms. I was shocked at how affordable their prices were and so, was a bit skeptical of the quality. The prices were even lower than their normal retail price due to the site-wide Mother's Day sale. The first charm I have is the Hollow Flower Mom Charm ($12.95), chosen for the fact that the theme of this month is Mother's Day and it has the word 'mom' engraved, which is an easy way to personalize a charm bracelet. The second charm is the September Birthstone Dark Blue Heart Charm ($12.95). I was not born in September but I was attracted to the dark blue accent in the middle of the charm, and I wanted to have a subtle blue theme throughout the charms. The next charm is the White Four Leaf Clover Lucky Birthstone ($6.99). I really like this charm, especially the little diamonte in the middle and the white colour of the clover. 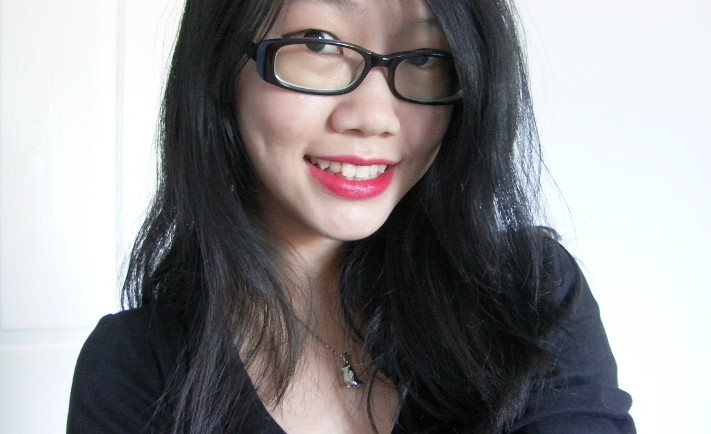 It's a cute charm that is very 'me'. I also chose the April Birthstone White Crystal Heart Charm ($15.95). Again, I don't belong to the April Birthstone but this is by far, the prettiest charm out of the bunch that I picked. It has a very intricate crystal detailing that sets it apart from the others. It also has hints of purple through it. To add some contrast, I also chose two dangle charms. The first one is called the March Birthstone Candy Star Dangle Charm ($9.99). It may look childish to some, but I like the engraving of the words "Wishes Come True". Unfortunately, the light blue accent in the dangling star which I was hoping to compliment the blue theme of the other charm, came missing and must have fallen out, which was a bit disappointing. My last charm is the White Pearl Flower Dangle Charm ($12.95). 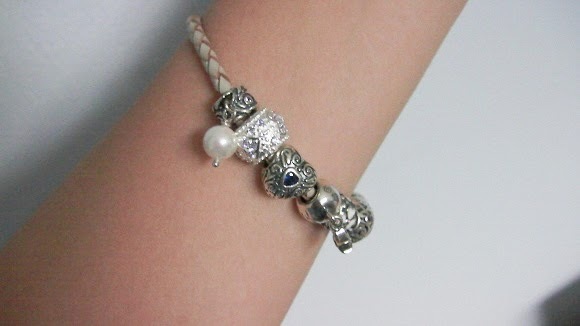 It is quite different to the others due to the solid pearl and I quite like the woven design of the silver charm. Overall, the engravings and detail of the charms are quite well done, although rough in a few places. The silver can also look a bit dirty in the inner details but it doesn't affect the overall look of the bracelet and it was disappointing that a detail of one charm was missing. However, the charms have a good weight to them and don't look cheap so I do think you're getting good quality charms, despite the comparatively low prices which may scare you off. Although they are based in China, the quality and appearance of their products, as well as the professionalism of their website and customer service are impressive. Delivery took around 2 weeks to Australia. I'm in love with my little charm bracelet, and I think Soufeel provides a great option for those considering purchasing a Pandora, those who already own a Pandora and simply want more affordable charms to add to their collection, or those looking for gift ideas for a special someone. These products were kindly provided for consideration, however all opinions expressed are 100% honest. These are so preeeeetty :) Quite a nice dupe for the price too. Great charm picks! i can't say i like the concept of pandora braceless but that's mostly because of the price. i'm glad there's a cheaper alternative! Adorable! I agree, the quality does look like it's there. Much more preferable than spending too much on each charm! Wow at first I thought it was Pandora! It's really pretty and I like the packaging too, that cute bow!